The speed of our Internet connection is basically limited by the bandwidth that the different ISPs offer. But an inadequate computer configuration can also affect your connections quality. That is why it is always useful to use an application like Ashampoo Internet Accelerator. 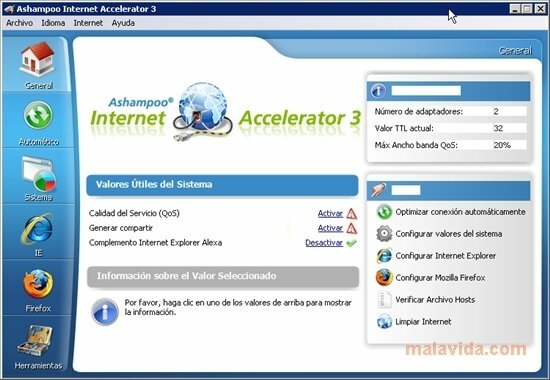 Ashampoo Internet Accelerator is an Internet connection accelerator, that allows to optimize the access speed and how the two most popular browsers (Internet Explorer and Firefox) work, by simply applying an automatic configuration to the computers parameters. - General: Where we will find the general information regarding the status of our connection. 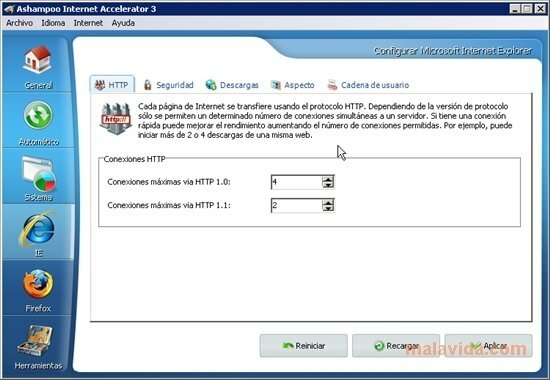 - Automatic: That is the option that allow to configure the system and optimize the browsers, IE and Firefox, automatically. 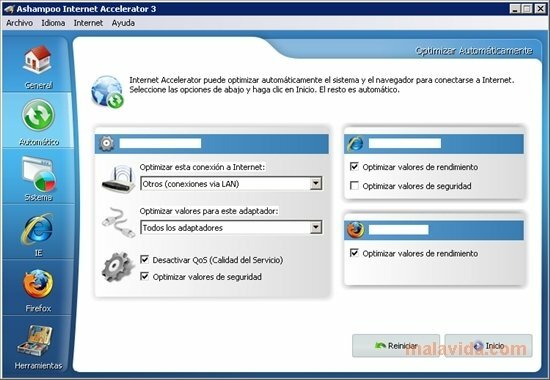 - System: From this menu it is possible to configure quite a few interesting options, like the size of the data packages or the bandwidth for the data packages that we assign high priority to. 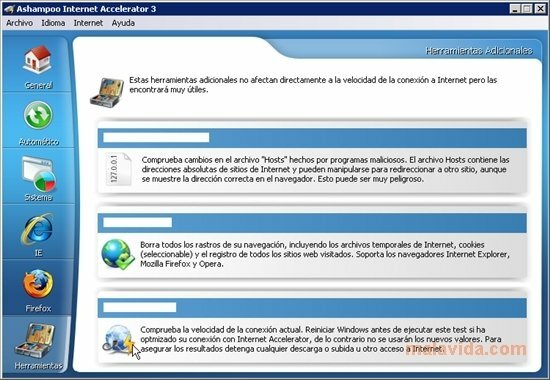 - IE: It is the specific menu to configure the options for Internet Explorer. - Firefox: Where we will be able to optimize the browser developed by Mozilla. - Tools: A group of additional utilities that the user may find interesting. If you want to extend the trial period from 10 days to a month, you can ask for a free trial key when you launch the application.